A mix of rain, snow and strong winds also made travel dangerous or impossible on roads, especially in the northern and central plains, where some areas could see more than a foot of snow before the storm subsides on Friday. Dallas-Fort Worth International Airport in Texas a major hub for American Airlines through which more than 200,000 holiday travelers were expected to pass, experienced the heaviest disruptions. 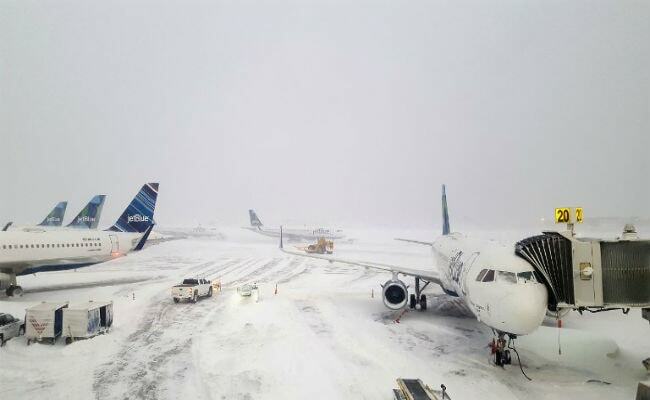 More than 450 flights were canceled and more than 600 others were delayed.